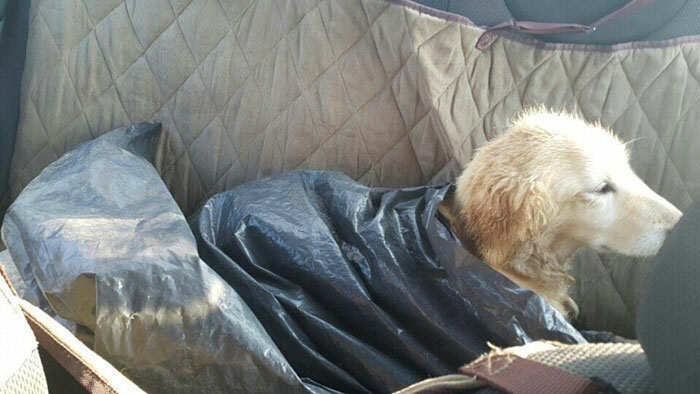 A dog has made an unbelievable recovery after being tortured and beaten before being left to die in a rubbish bag. 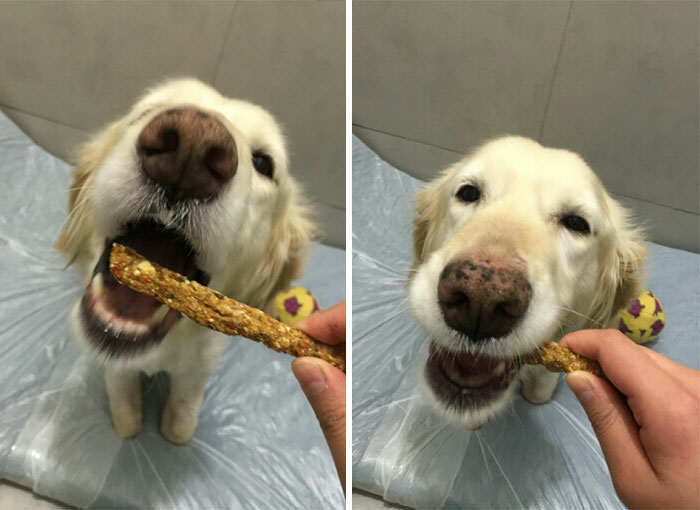 According to Bored Panda, Chi Chi – who was rescued from a dog meat slaughter region of South Korea – was hung upside down in a dark room, and constantly beaten to make her meat more tender. The two-year-old’s legs were bound so tightly that her flesh got infected and started rotting, but being no use as meat, the poor creature was then left to die in a bin bag. Luckily, she was found in time and taken to an animal hospital. 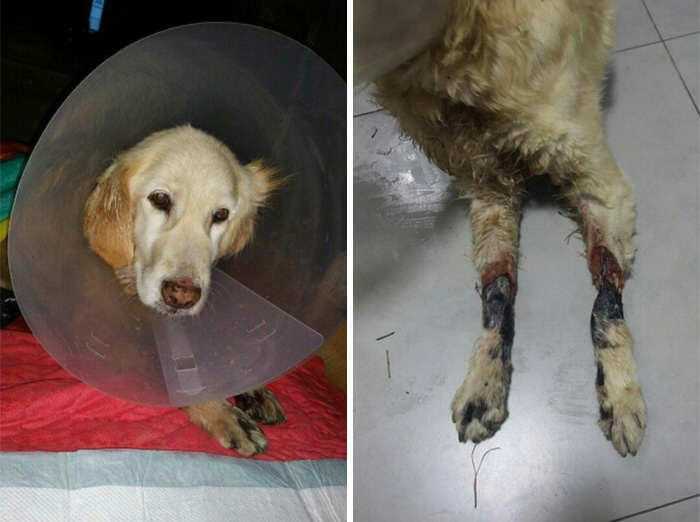 Vets managed to save her life but all four of her paws had to be amputated. However Chi Chi – which means ‘loving’ in Korean – shocked all the vets as the next day she was already making an amazing recovery. 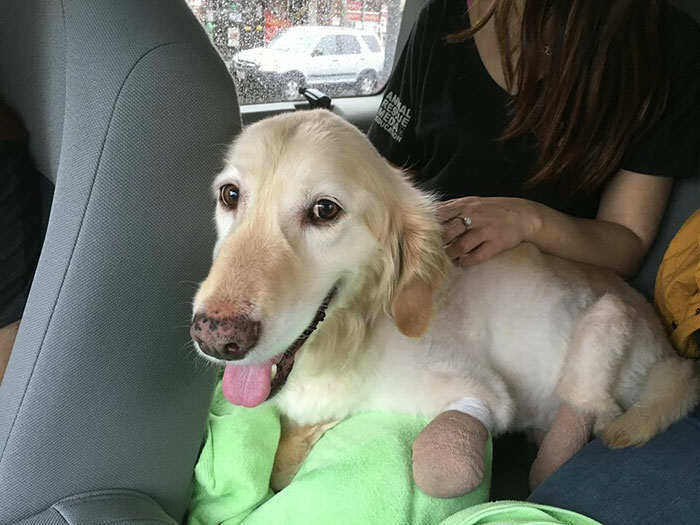 She survived and the day after surgery she was trying to walk – she was smiling and wagging her tail. 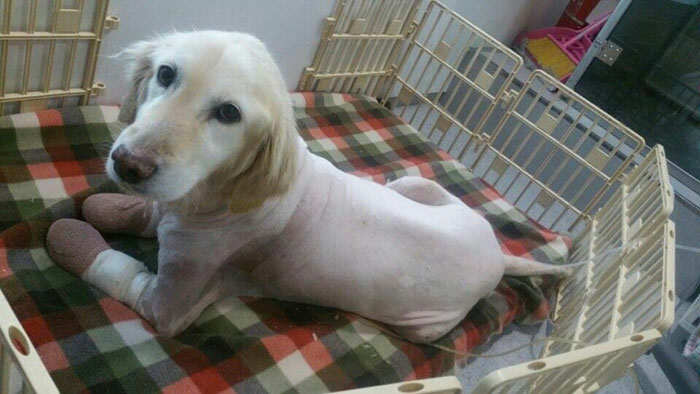 Chi Chi spent the next two months recovering at a veterinary practice in Seoul before being transferred to her new home in Phoenix, Arizona. She now lives with Richard, Elizabeth and Megan Howell and will even get prosthetics. When she fully recovers, the Howells are planning for Chi Chi to become a therapy dog to provide comfort and companionship to children and veterans who have lost limbs. What an incredible turnaround, we hope Chi Chi can go full circle and provide love and support for people who desperately need it.